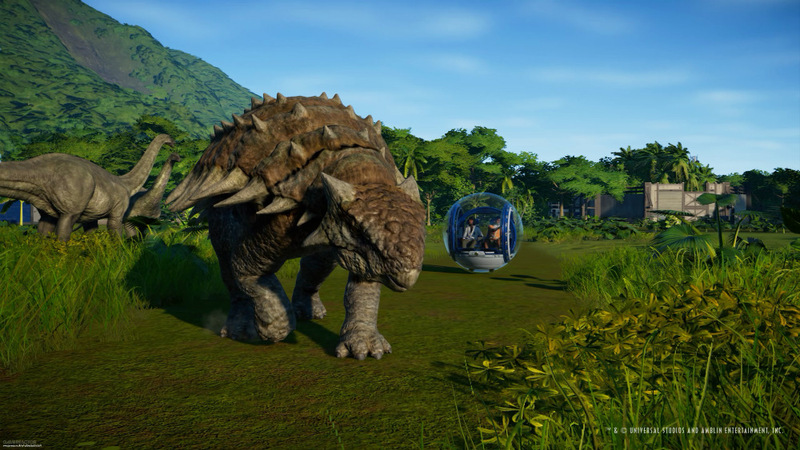 Jurassic World Evolution allows us to build a park with live attractions, feed them, watch them grow … and ensure that our dinosaurs do not escape and sow chaos among visitors, as in the movies. Since we saw Jurassic Park for the first time, more than 25 years ago, we have dreamed of living a similar adventure. Some, like Drs Alan Grant and Ellie Sattler, would prefer field research: getting into dinosaur enclosures and interacting with them (which carries the risk of ending up as their snack). But Jurassic World Evolution is aimed at others, those who yearned to become John Hammond and build a unique park, to bring dinosaurs back to life thanks to the miracles of genetics. Frontier Development , which already has experience in the strategy genre with games such as Rollercoaster Tycoon or Zoo Tycoon , dares to put us in the role of the director of the park. We work for the company InGen (which in films always has the role of “bad”) and our goal is to amass a fortune with a chain of parks, spread over an archipelago 120 miles west of Costa Rica. They are the “five deaths” and for the films we already know Isla Nublar and Isla Sorna (zone B), but each of them has particularities that influence the construction of our parks and the development of the activity. 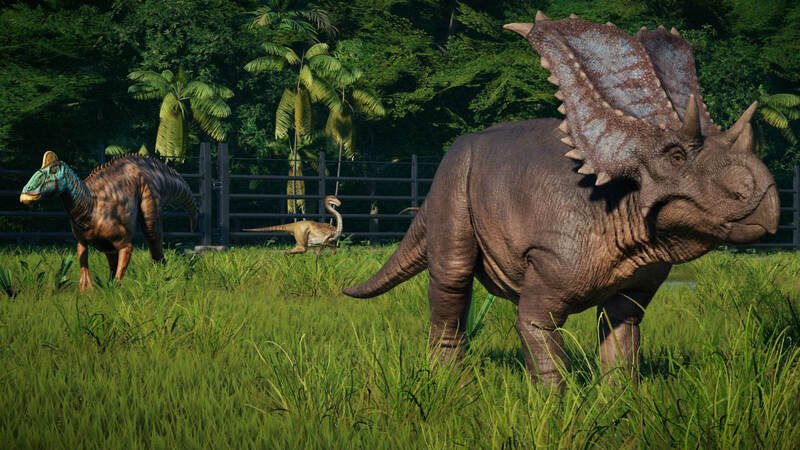 On the one hand, Jurassic World Evolution has a part of construction – quite corseted – of parks and facilities. On the other, our tasks extend to the care of dinosaurs, maintenance of facilities, and in general, maintain the level of satisfaction of tourists to continue spending money. The third leg of the business, is to investigate all over the world, to get new fossils from which to obtain DNA from different species, and combine it to create creatures as terrible as the Indominus Rex of Jurassic World or the Indoraptor of The Fallen Kingdom . It is not the first time that we find this approach. From the time of Game Boy Advance, with Jurassic Park III Builder to free applications for iOS and Android, which replicate this game style quite well. But the Frontier title makes a difference in two important aspects. The first of this is fidelity to movies. Not only do we find a great recreation of dinosaurs and attractions (such as monorail or gyrospheres), but the staunchest fans of Spielberg / Crichton’s work will appreciate that a lot of names, species and visual elements are respected. .. starting with the participation of chaos mathematician Ian Malcom (Jeff Goldblum). The second unique aspect in Jurassic World Evolution is that the difficulty curve is ready to welcome those who have not faced a park manager before. The construction is quite intuitive, although as we said before, it does not leave us much freedom, and the maintenance of the parks does not get out of hand as easily as in other similar games. In addition, the purely business activity is combined with the possibility of going down to the facilities to fulfill small tasks. It is not difficult to reach the stability of our theme park, but we can always continue to introduce new species … or prepare for a tragedy. The truth is that Evolution keeps us in tension throughout the game, and that’s good. After a few hours, more experienced players may miss even more options. And, what about the dinosaurs? Well, we are facing more than 40 species well known to all: the large herbivores (such as brachiosaurus, ankylosaurus or triceratops) are easy to maintain, but what really attracts visitors are predators such as Tyrannosaurus Rex, Spinosaurus or the velociraptors, which have a higher risk of leakage. We can approach the camera as much as we want and enjoy very careful models and behavior quite similar to what we have seen in the cinema. Jurassic World Evolution has a gift for fans, and it has the soundtrack of John Williams. In fact, it will be the fans of this movie saga that will take advantage of the game, because those looking for a more complex strategy game can be a bit short (and sometimes slow). Despite what Malcom says in the movies, playing God and bringing these extinct creatures back to life has been very fun for us.